While unfortunately Ive never really got on with false eyelashes, I do love some individual lashes for a special occasion or evening out. I really like the Flare Medium Black by Excellence Cosmetics, they aren't too much longer than my real lashes but add great definition to my eyes. Each of the flares is made up of 10 lashes which flare out (as the name suggests) and are held together by a knot at the top. I know some people prefer a spine on their individual lashes similar to a full eye false lash instead of the knot, but I find knots easier to position and with a good coat of mascara they're not too visible. Ive been using about 6 of the flares, 4 in the outer corners where my natural lashes are a bit sparse and don't tend to curl well, and one or two in the centre of the eye to add a bit more volume. As they are more fanned than some other lashes Ive tried, they give a nice feminine shape to the corners of my eyes and I don't need to place them all along the lash line to get a voluminous effect. Ive found that this pack has lasted quite a long time for me- each contains 56 lashes and I get about 2 or 3 wears out of each, so even if a few escape in my bed when Ive been naughty and slept in them a pack will still last me quite a while! For maintenance I like to take as much glue off with my fingers as I can, float them for a few minutes in a shot glass filled with an inch or two of make up remover, rub the rest of the glue and mascara off with a tissue and brush them through with an eyelash comb. The lashes to tend to get a bit splayed out after being used a few times (you can see these on the middle and left of the bottom row) and these I reuse in the centre of my eye where my lashes are a bit thicker. Overall I really like these individual lashes, they definitely add volume to my natural lashes without looking too unnatural or over-done.The only downside was that these packs don't come with glue, although for the price you cant expect everything! 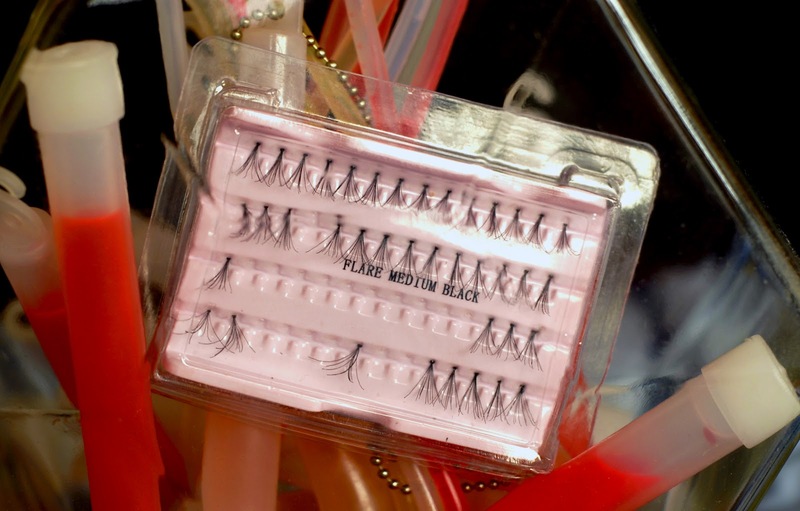 I have naturally long lashes but if yours are a little short I think these would be great to add length as well. 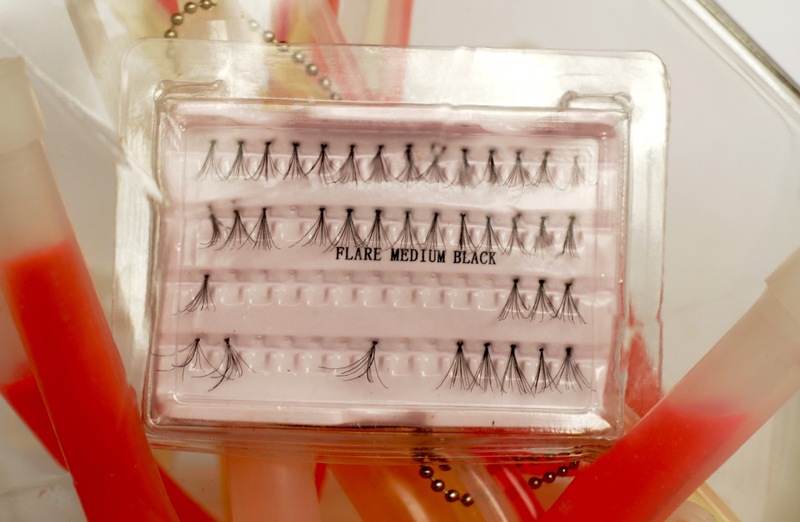 The Excellence Flare Medium Black Individual Lashes retail for £4.99, but I bought mine for £2.99 from Xtras Online (not in stock at the moment) and you can also find them at GlitterStore.co.uk for £2.99. Have you tried any lashes from Excellence Cosmetics? And do you prefer individuals or full eye false lashes? Thanks for shairng the review. Quite good. By the way, i am also a blogger on blogspot. 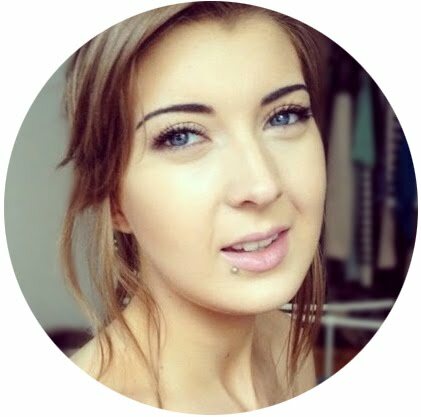 Would you please follow my site as well? So we can get further communication with each other. They look really fanned out and girly. What glue do you use? Sounds good. These are safe for eyes or what precaution we take.